Plastic Surgery iPhone App: Medical Aid or Just Plain Creepy? Want to see what you would look like before plastic surgery? There's an app for that. Tons of iPhone apps come out every day. Most are helpful, cool, and fun, but there is a new one that is informational but also kinda creepy, if you ask us. iSurgeon lets users alter images of themselves to see what they would look like after a variety of plastic surgery options. Or, you can see what anyone would look like with plastic surgery. 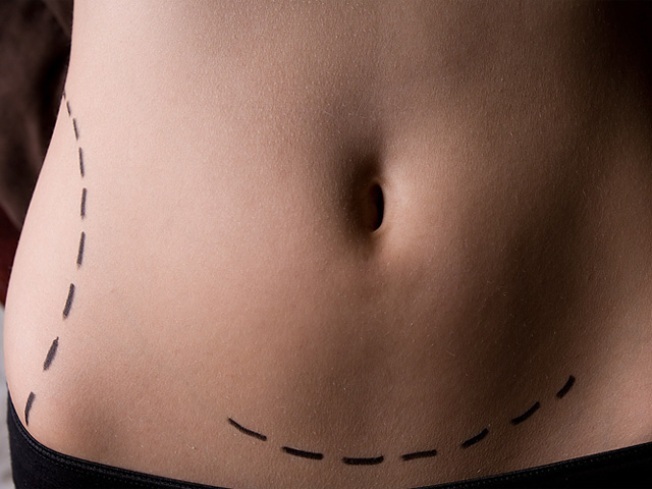 So, before you suggest your spouse go under the knife, you can pick what size implants, how much to tuck that tummy, or how big to puff up her lips. Or she can see how you would look with some improvements. Virtual plastic surgery. iSurgeon was created by Dr. Michael Salzhauer, the surgeon who wrote the book "My Beautiful Mommy" to help kids deal with Mom's plastic surgery. Ugh. How about teaching kids that it doesn't matter what mommy looks like; true beauty comes from within. The app will be free for the first month when released later this month.